After weeks of wait, Samsung will be holding its Galaxy Event today where the company will be seen launching three of its Galaxy A-series devices. The event will take place at Bangkok, São Paolo and Milan and the live stream will be available starting 05:30pm (IST). The Bangkok event will also be live broadcasted for the users to watch. Interested users can watch the Galaxy Event being held by Samsung on the official Samsung India (Hindi or English) website. The South Korean technology giant is expected to announce three Galaxy A-series devices at the launch event. The three smartphones that Samsung is expected to unveil today are – Samsung Galaxy A40, Samsung Galaxy A60 and the Samsung Galaxy A90. All the devices will vary in their specification as well as the price range. The Samsung Galaxy A40 will be an upgrade over the earlier launched Samsung Galaxy A30. Similarly, the Samsung Galaxy A60 will be an upgraded version of the Samsung Galaxy A50 and will come with more powerful specifications. On the other hand, the Samsung Galaxy A90 will be a completely different smartphone as compared to the other variants of the Galaxy A-series. Samsung Galaxy A60 specifications got leaked on the TENAA listings a few days back. And according to the listings, the Samsung Galaxy A60 sports a 6.3-inch Infinity-O display and has triple-rear camera setup at the back. According to the TENAA listings, the Samsung Galaxy A60 houses a fingerprint scanner at the back while packing a 3,410mAh battery. The device holds a model number SM-A6060. Moreover, the Samsung Galaxy A40 was already announced in the Netherlands a few weeks ago and it was listed on a website of the country. According to the listing, the Samsung Galaxy A40 sports a 5.9-inch Full HD+ Super AMOLED Infinity-U Display with an aspect ratio of 19:9. Samsung Galaxy A40 is powered by an octa-core Exynos 7885 SoC coupled with 4GB of RAM. The smartphone comes with 64GB of internal storage with support for a microSD card and it packs a 3,100mAh battery but it doesn’t support fast-charging. The Samsung Galaxy A40 runs on Android 9.0 Pie skinned with One UI. It comes with a dual-rear camera setup that has a 16MP sensor and another unknown sensor. While on the front, there is a 25MP selfie camera. 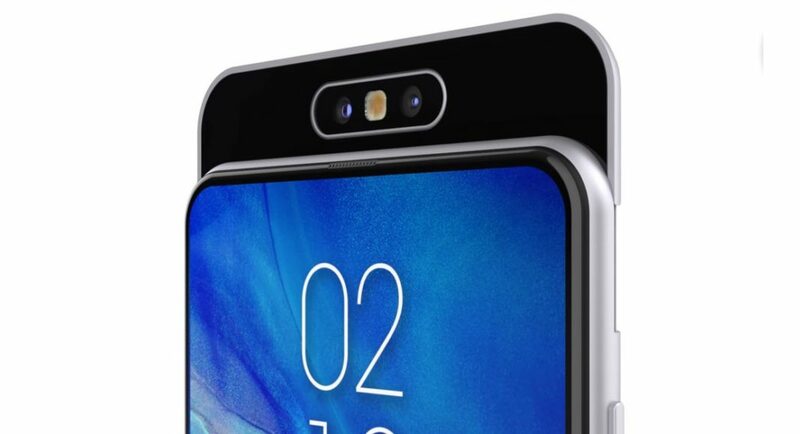 Coming to Samsung Galaxy A90, a video leak of the smartphone had surfaced online sometime back which showcased its unique pop-up slider rotating camera setup. Although, it’s not confirmed, but some earlier reports suggest that the Samsung Galaxy A90 might come with a notch-less display. It has also been speculated that the device will have an in-display fingerprint scanner and will be powered by a Qualcomm Snapdragon 710 SoC paired with 6GB/8GB RAM and 128GB of internal storage. Although most of the specifications mentioned here are based on leaks and teases. But when all the three devices launches we will see how they differ from the leaked specifications. You can click here to watch the launch event of the three smartphones.